I love anything wrapped in a tortilla don’t you? Honestly I’ve stopped buying sliced bread because in this house it never gets used. Everything goes in a tortilla. Corn or Flour doesn’t matter I love them both especially when they are slathered in honey and butter! Which one do you prefer? 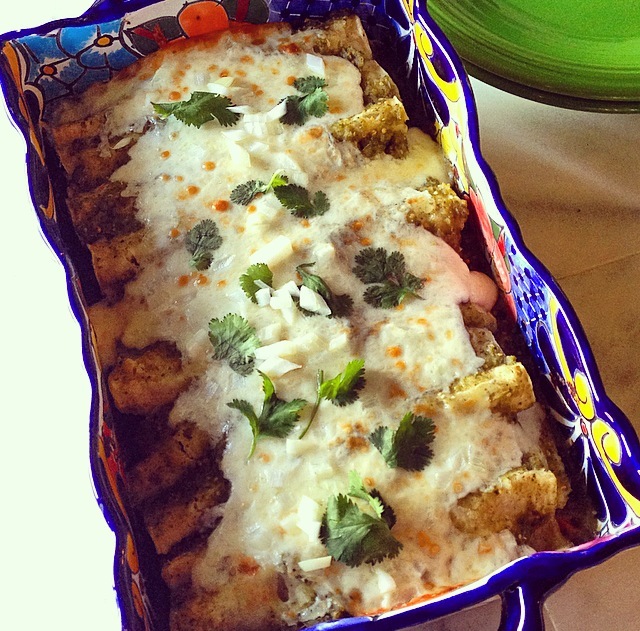 For these Enchiladas to stretch out my Poblano Salsa Verde I also used some canned Salsa Verde. That little bit of tang from the tomatillos in the canned salsa verde works really well with the fresh roasted Poblano salsa verde. And there have been many times I have made these enchiladas with just the canned salsa verde and they are always a hit. I love the Heredez brand Salsa Verde not only because it’s inexpensive, but the list of ingredients on the back of the can reads as follows, Tomatillos, Chili Peppers, Onions, Salt, Cilantro, and xanthum gum. There are no extra fillers or a list of ingredients a mile long that I can’t pronounce, and that is why I love all of their products and I keep a good stock of them in my pantry. Hmm after making these enchiladas looks like I’m down to 2 cans…. Time to stock up! What are some of your favorite quick fix dinners for using up leftovers? Pre-heat the oven to 350 degrees and grease a 9×13-baking dish. In a small bowl mix together the shredded chicken, half the diced onion, and about ½ cup of the salsa verde. Wrap the corn tortillas up in a slightly damp paper towel, then place them in a tortilla warmer (or between 2 plates) and microwave the tortillas for 45 seconds. If you would prefer you can also warm the tortillas on the stove top in a heated iron skillet for about 20 seconds per side and then keep warm in a tortilla warmer. Sometimes I prefer the quickness and ease of the microwave. Pour about a cup of the salsa verde into the greased baking dish. Pour the remaining sauce into a round dish like a pie plate. Dip the warm tortillas in the salsa verde, making sure to coat both sides of the tortilla, and then fill with 2-3 spoonfuls of the chicken mixture down the center of the tortilla. Roll up the enchilada and place it in the baking dish seam side down. Repeat until you have filled the baking dish. Take the remainder of the salsa verde left in the pie plate and pour over the top of the enchiladas. Top with the grated Monterrey jack cheese and sprinkle the remaining diced onion on top. Cover with foil and bake for 25 minutes then remove the foil and back for 5-7 minutes more, until the cheese is melted and bubbling. If desired top with cilantro, and serve with rice and beans. *If using just the Roasted Poblano Salsa Verde for these enchiladas blend in 2-3 Tablespoons of Stock or Water to thin it out. If you only have a little of the poblano salsa verde left mix in the canned salsa verde to make up the difference. If using only the canned salsa verde mix in 1 teaspoon of cumin and 1 clove of garlic (minced or grated). 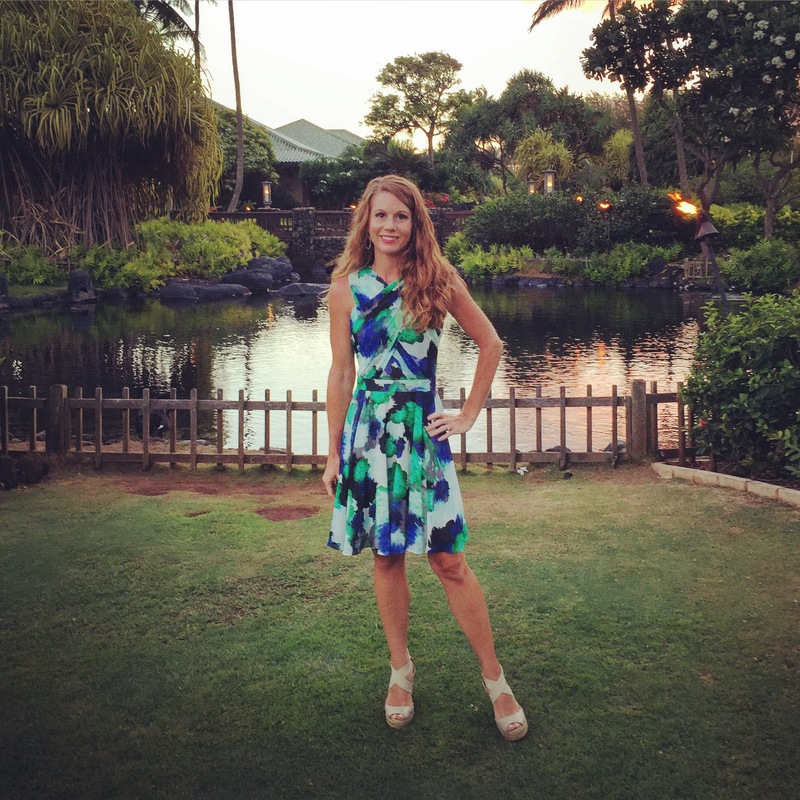 Mel– these look perfect. (Love Hedrez salsa verde– just pick enough). thanks. 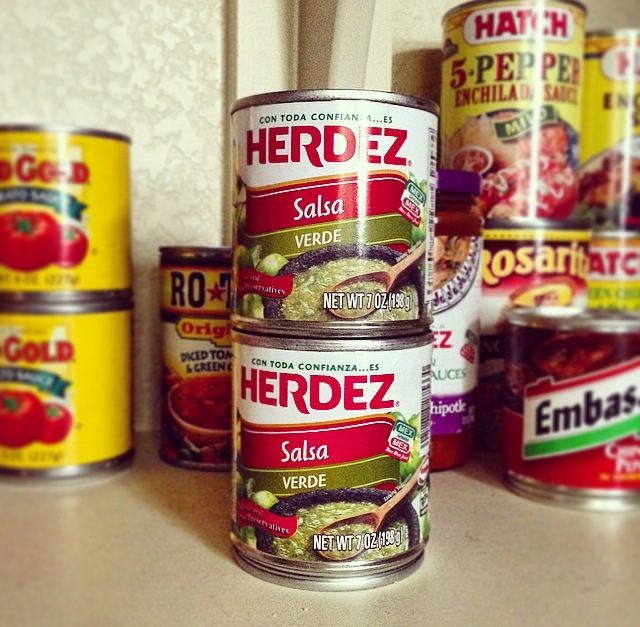 Herdez salsa is my “go-to” salsa when I can’t make it from scratch! Enchiladas, YES! What brands of tortillas do you like? Corn and flour…. I’m a little spoiled in the fact that my local grocery store makes homemade flour tortillas daily so that’s where I get my flour tortillas. For corn tortillas my favorite brand is Guerrero, but to be honest I usually will purchase which ever brand of corn tortillas feels soft and fresh.